Universal well-being will not be easy to achieve in spite of the Dutch historian's persuasive vision and bold thinking. Much of what the British economist John Maynard Keynes had predicted turned out to be true. But there are always exceptions to the rule. In 1930, Keynes wrote an essay titled Economic Possibilities for Our Grandchildren. And the main point he made there was: In the years to come, people would enjoy a life full of leisure and their working hours would come down. Keynes said that in 2030, individuals would be working just three hours a day, five days a week. Humankind would face the challenge of figuring out what to do with all the time at their disposal. Keynes was not the only one who thought so. 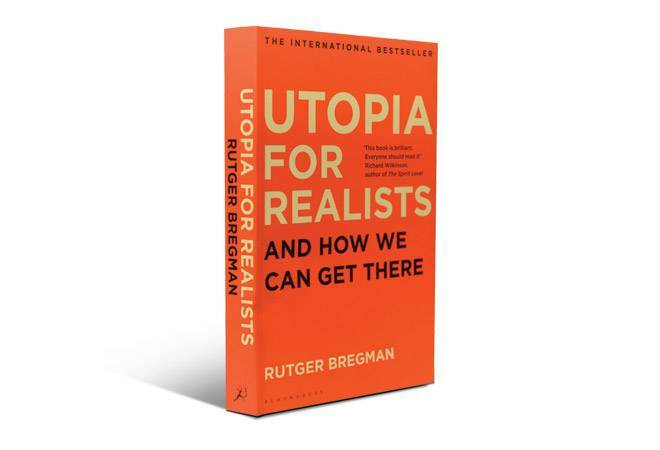 In his book Utopia for Realists, Dutch historian Rutger Bregman points out how Nobel Prize-winning playwright George Bernard Shaw predicted in 1900 that, at this rate, workers in the year 2000 would be clocking just two hours a day. Some of it had played out. Bregman observes that in 1855, the stonemasons of Melbourne, Australia, were the first to secure an eight-hour workday. By century's end, workweeks in some countries had already dipped south of 60 hours. The trend continued. In 1926, Henry Ford, founder of the Ford Motor Company, implemented a five-day workweek at his company as he thought a well-rested worker would be a more effective worker. By the time Keynes got around to predicting a three-hour workweek, there was enough evidence of the workweek being shortened from the days when the textile workers of Manchester used to work 70-hour weeks. The underlying assumption of the economist was that by 2030, we would have solved all major problems such as poverty. But nearly nine decades later, things have not turned out the way Shaw and Keynes thought they would. Undoubtedly, the world is a much better place now than it was in 1930. As per the book, 94 per cent of the world's population lived in extreme poverty in 1820, but by 1981, that percentage had dropped to 44 per cent, and now, it is under 10 per cent. Also, worldwide, life expectancy grew from 64 years in 1990 to 70 in 2012. It is more than twice of what it was in 1900. Further, between 1990 and 2012, more than 2.1 billion people have got access to clean drinking water. During the same period, the number of children with stunted growth was down by a third; child mortality fell by 41 per cent and maternal deaths were down by 50 per cent. So what is the problem with today's world? The author says that the richest 8 per cent earn half of all the world's income and the richest 1 per cent own more than half of all wealth. The poorest billion people consume just 1 per cent compared to the richest consuming 72 per cent. The difference between the rich and the poor is very significant now, with the rich being filthy rich. Interestingly, a poor person in the US belongs to the richest 14 per cent of the global population. Further, someone earning a median wage in the US belongs to the richest 4 per cent. The fundamental difference is, as Bregman puts it, "In the 19th century, inequality was still a matter of class; nowadays, it's a matter of location." The Western countries are way ahead of the countries in Africa and large parts of Asia. The West is the land of plenty. What is the solution to get rid of this inequality? The author says, "One thing is certain. If we want to make the world a better place, there's no getting around migration. Even just cracking the door would help. If all the developed countries would let in just 3% more immigrants, the world's poor would have $305 billion more to spend, say scientists at the World Bank. That's the combined total of all development aid - times three." But just like the title of the book, this is a utopian solution. No society will open the gates for an unlimited number of immigrants. Only if it were as easy as that, Keynes would have been proved right by now.